I'm doing a web scraping. I came across this detail and I don't know how make the regex ( path) . 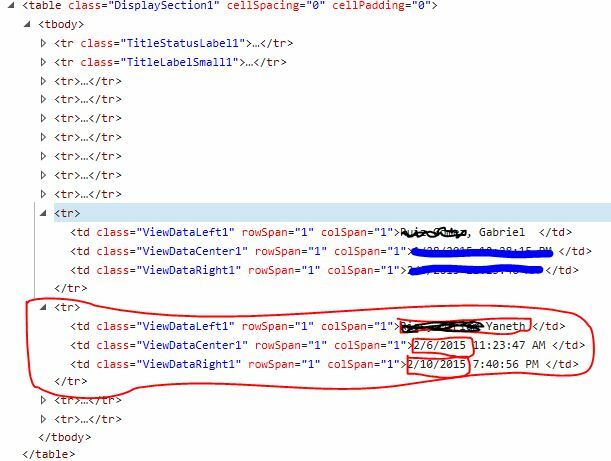 There are several names in the table, I want only the data of a person ("yaneth") and their dates are immediately below (Example in red shape). Any ideas? Not the answer you're looking for? Browse other questions tagged regex vba xmlhttprequest or ask your own question. How to negate specific word in regex?